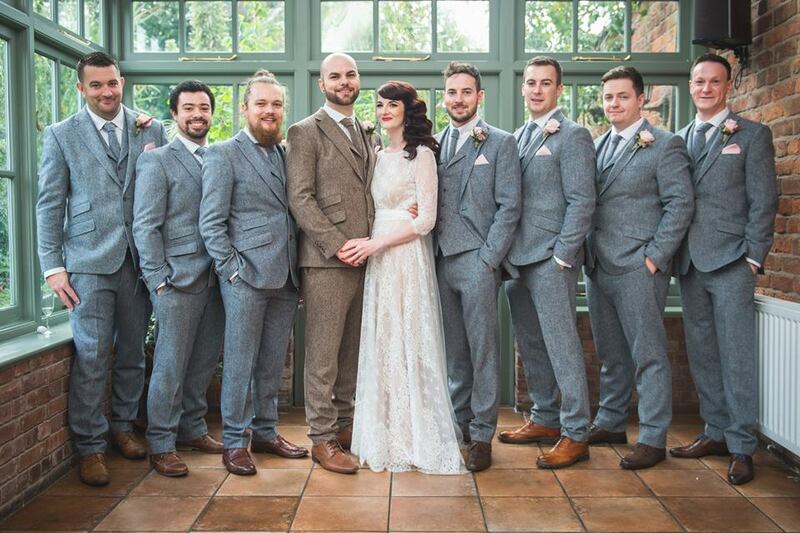 They offer affordable suit hire with packages to suit all budgets and requirements. They also supply suits for children, starting at just 18months in Tails and Prince Edward styles and in Black, Navy, Charcoal Grey and Silver colours! At our Liverpool Wedding Fayre they are offering an incredible 50% off suit hire when booked with full accessory package! Impressed? Then come along to our North West Wedding Fayre at the Formby Hall Golf Resort & Spa, Liverpool on Sunday 18th February, and see their stunning menswear for yourself. Their amazing suits will be showcased on our catwalk shows at 1:30pm & 3pm so be sure not to miss it! Whether you are looking for your Menswear for your big day or for more wedding ideas & wedding inspiration we will have it all at our popular Red Event Wedding Fayre. Free entry, arrival drink, 50+ exhibitors, live music, competitions and so much more! Delmar World Travel is a premier travel agents in North Wales and covers the North West area. They specialise in travel to the USA & Canada as well as multi centre and luxury holidays. With over 50 years of experience in the industry you know you are in safe hands when booking your perfect honeymoon through Delmar World Travel. They are offering FREE VIP airport pass to any couple booking a honeymoon with them on the day of The Holiday Inn Ellesmere Port, Cheshire Wedding Fayre this Sunday 8th October, 12 - 4pm. Come along and chat with Ann about your honeymoon wish list and ask them about their Wedding Gift List! Whether you are looking to book your romantic honeymoon or for wedding ideas and more wedding inspiration, come along this Sunday to the Holiday Inn Ellesmere Port Wedding Fayre, enjoy a drink upon arrival, catwalk shows at 1:30pm & 3pm, this special offer and lots more from our amazing wedding exhibitors. Free Entrance and everyone is welcome! The amazing Flower House will be exhibiting at our North West Wedding Fayre this Sunday 8th October at the Holiday Inn Ellesmere Port Cheshire Oaks 12 - 4pm. Based in Irby, for 40 years FlowerHouse has proudly stood in the heart of the Wirral, creating unique and personalised arrangements for everyone who walks through their door. 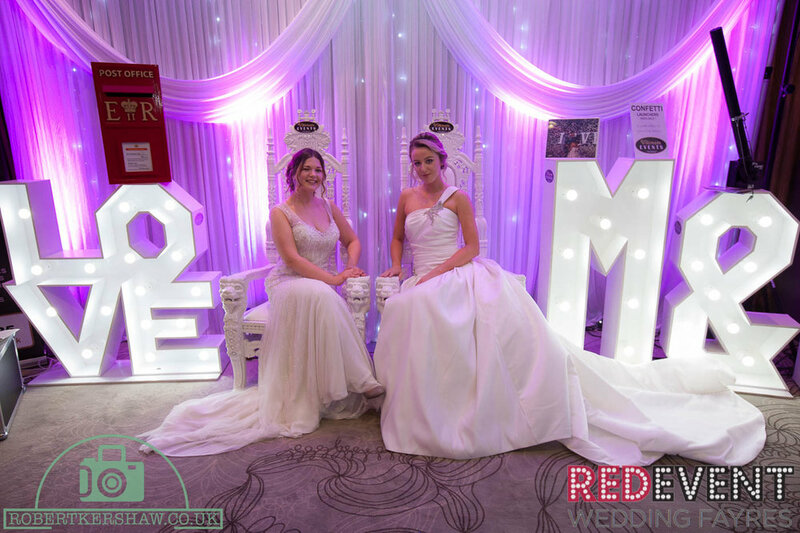 They will be offering lots of wedding advice to Red Event couples this Sunday and will be showcasing lots of beautiful bouquets from their stand. They are offering 10% discount to couples off your final costing when booking a consultation on the day of our Wirral Wedding Fayre and making an order at your appointment. Christine and Alex's genuine passion and love for floristry means that every bouquet is created with a hint of individuality, with only the freshest, most vibrant stock used. FlowerHouse source their stock from a Dutch market, and then expertly prepare and store all their plants and flowers so that they are of the highest standard for you. With customer satisfaction being paramount, you can rest assured that you will be delighted with your purchase, be it a simple bouquet that encapsulates the season, or an exquisite bespoke piece of floral art. Whether you are still looking for your floral arrangements or for Wedding Ideas & Wedding Inspiration we will have it all at our Wirral Wedding Fayre this Sunday. Free entry, catwalk shows, live entertainment and so much more! We look forward to welcoming you! Here at Red Event we love animals, so we are so excited to have the very special Cupcake & Jaffacake, Jessies mini shetland ponies coming along and greeting couples when arriving at The Holiday Inn Ellesmere Port Cheshire Oaks Wedding Fayre on Sunday 8th October. They are available to come to you for your special day and they can walk you down the aisle, be your ring bearer or just be part of your wedding photos. You can: pamper, groom, cuddle or even decorate Jaffacake & Cupcake in bobbles & clips that their mum will bring. They can even come as unicorns or a dressed at bride & groom for the day! If you are looking for something to put a smile on your guests faces then Jaffacake & Cupcake are the two for that. Come along to our North West Wedding Fayre on Sunday 8th October at The Holiday Inn Ellesmere Port and meet these beautiful animals in the flesh and speak to their mum jessie on how they can add that wow factor to your wedding day!